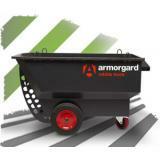 Armorgard Security products was established in 1989 and now offer the widest range of secure outdoor storage for tools, chemicals and flammables on the market. 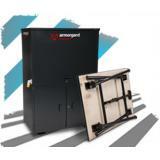 Armorgard Site Boxes and Van Boxes are the leaders in secure industrial storage in the UK. 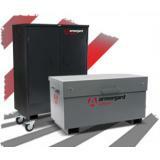 Theft, Mother Nature and even on-site misconduct can all jeopardise the safety of your possessions. Achieve ultimate piece of mind with a site box. 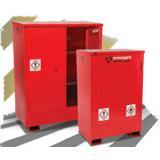 Site boxes and van boxes sometimes look alike and they have a similar purpose: to keep your tools and equipment safe from thieves, accidents and bad weather. So what’s the difference, and which one do you need?